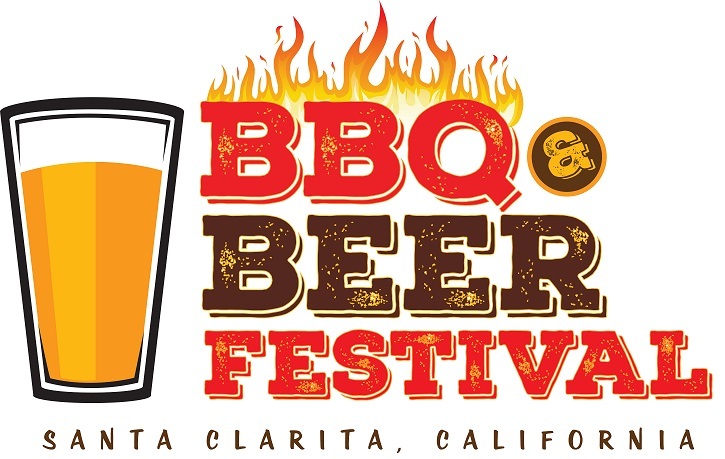 California�s biggest traveling beer festival is going to be finding a home in Santa Clarita for the first time next month, bringing with it two days of the best craft beers and tasty food trucks that California has to offer. In addition, the BBQ & Beer Festival is proud to announce the bands and amazing BBQ & sauce vendors that will be gracing its grounds over the weekend. Friday will feature The Oles, a rocking hip-hop infused reggae band from Santa Barbara who have enjoyed a myriad of success both at home and on the road. Joining them in providing Friday�s soundtrack will be R&B influenced dance machine The Bomb. Saturday�s entertainment will include Caribbean fusion (reggae, calypso, soca and steel drum, specifically) heavyweights Upstream, who have been mesmerizing audiences worldwide for the better part of two decades. First class tribute act Skinny Little Twits will be serving up their trademark �Ultimate Tribute to the Legends of Rock�, and Highway Starr will be bringing the best of modern (and classic) country hits to the Santa Clarita stage. Finally, LA reggae-pop group SayReal will be imparting their good vibes on the brews-loving crowd at the festival. The BBQ & Beer Festival will showcase more than 20 microbreweries pouring north of 45 handcrafted beers and ciders on tap. Beer enthusiasts are cordially invited to find a new favorite � or to simply enjoy an established and well-loved choice. Newly announced participating breweries include some California favorites such as Enegren Brewing Co, Firemans Brew, Golden Road Brewery, Kombucha Dog, Sierra Nevada, Stella Artois, Surf Brewery and Wiens Brewing, alongside the previously announced Wolf Creek Brewing, Ballast Point Brewing & Spirits, Pocock Brewing Co., Lagunitas Brewing Company, Common Cider, Iron Triangle Brewing, Rincon Brewery, Island Brewing Company, Lost Coast Brewery, Elysian Brewing, Coronado Brewing Co., Firestone Walker, Tap It Brewing, New Belgium Brewing and more. BBQ and food truck participants include newly announced Our Place BBQ & Soul Food, BBQ Smokehouse, Rustic Burger, and Black Sugar Rib Co alongside It�s in the Sauce BBQ, Busy Bee Caf�, and Sunrise BBQ, plus others! Sauce vendors Deaf Man�s BBQ, Earl�s Gone Wild and Awesome BBQ Rub will also be on hand. Tickets are available for purchase online now. Tickets will also be sold at the door. Friday beer festival tickets range from $20 to $40 and Saturday BBQ Festival tickets range from $10 to $15, with free entry for children 12 and under. Both days will feature a variety of live music and entertainment. Individuals must be 21 years of age or older with a valid ID to enter the Beer Festival on Friday and to consume alcohol. For more information, please visit www.BBQandBeerFestival.com. Together with The Julia Child Foundation for Gastronomy and the Culinary Arts, Bacara Resort & Spa is pleased to announce the 3rd Annual Santa Barbara Food & Wine Weekend on April 15-17, 2016. Set within the luxurious surroundings of Bacara, the three-day event will once again showcase the distinct tastes, sights and sounds of Santa Barbara and feature culinary talent from across the country. Headlining this year�s festivities is chef, restaurateur, author and television personality Richard Blais. Most recognizable as the winner of Bravo�s �Top Chef All-Stars,� Blais has trained at some of the world�s most esteemed restaurants, including The French Laundry, Daniel and Chez Panisse. He currently owns and operates two restaurants in San Diego, Juniper & Ivy and The Crack Shack. Weekend goers will have the opportunity to experience Blais� refined approach to American cuisine during a Chef�s reception and four-course Grand Dinner on Saturday, April 16. �I had the pleasure of meeting Julia while working at Daniel, and grew up with her on my grandmother�s black and white TV she had in the kitchen," says Blais. The Grand Dinner menu will pay tribute to Julia, America�s most beloved epicurean, while still reflecting Blais� distinct style. �The Foundation is delighted this year�s Santa Barbara Food & Wine Weekend presents another dynamic line-up of top national culinary talent like Chefs Richard Blais and Zoe Nathan in addition to the best Santa Barbara has to offer. Year three continues to capture Julia�s lifelong spirit of learning mixed with food and fun.� � said Todd Schulkin, Executive Director, The Julia Child Foundation for Gastronomy and the Culinary Arts. Tickets are available at www.BacaraCulinaryWeekend.com. Advanced reservations are recommended as events do sell out but same day tickets will be available for events which have greater capacity such as the Neighborhood Market Tour. Bacara is offering a room package which includes a two-night stay on April 15 and 16, two All Access VIP Passes for the Weekend and valet parking. For tickets, a complete list of events and more information about the Santa Barbara Food & Wine Weekend, please visit www.BacaraCulinaryWeekend.com. Weekend proceeds benefit the Foundation. Bacara Resort & Spa opened in 2000 and quickly established itself as the premier Santa Barbara resort destination. The property features 360 guestrooms and suites, four restaurants and lounges, a four-story spa and wellness center, three oceanfront swimming pools, a 12,000-bottle Wine Cellar, the Foley Food & Wine Society Wine Tasting Room and 70,000 square feet of function space. Embodying the essence of the American Riviera lifestyle, Bacara is nestled on the bluff and beaches of the Gaviota coast, just 40 miles from the famed Santa Ynez Wine Country and five miles from the Santa Barbara Airport. For reservations or more information, please call (855) 817-9782 or visit www.bacararesort.com. The Julia Child Foundation for Gastronomy and the Culinary Arts was created by Julia in 1995. Its mission is to honor and further Julia�s legacy, which centers on the importance of understanding where food comes from, what makes for good food, and the value of cooking. Headquartered in Santa Barbara, California, the Foundation is a non-profit which makes grants to support research in culinary history, scholarships for professional culinary training, internships in food writing as well as professional development and food literacy programs. Over the last decade, the Foundation has made more than $1 million in grants to other non-profits. In 2015, the Foundation created the Julia Child Award, presented in association with the Smithsonian's National Museum of American History. The annual Award honors an individual who has made a profound and significant difference in the way Americans cook, eat and drink and is accompanied by a $50,000 grant from the Foundation to a food-related non-profit selected by the recipient. Celebrated for its world class dining and farm fresh ingredients, Santa Rosa is proud to feature 38 restaurants participating in the 7th Annual Sonoma County Restaurant Week. 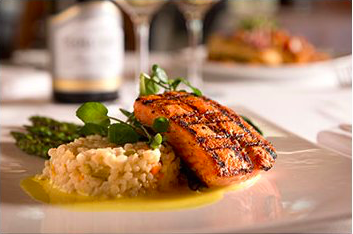 From elegant California wine country cuisine to authentic international flavors to indulgent bar bites, Santa Rosa offers locals and visitors alike a wealth of prix-fixe menus at exceptional prices. This year, all four of the city�s 2016 Michelin Bib Gourmand-awarded restaurants are participating. During Sonoma County Restaurant Week, guests can enjoy special two-course prix-fixe lunches for $10, $15 or $20 per person and three-course prix-fixe dinner menus for $19, $29 or $39. Earth�s Bounty Kitchen and Wine Bar; 5755 Mountain Hawk Way, Santa Rosa; (707) 827-9700; Chef-Owner Christopher Ludwick presents his simply delicious farm-to-table cuisine. Legends at Bennett Valley Golf Course; 3328 Yulupa Avenue, Santa Rosa; (707) 523-4111; premier sports bar and grille with a full bar and Sonoma County wines; 2-course lunch for $15; 3-course dinner for $19. For more information about dining in Santa Rosa during Sonoma County Restaurant Week, please visit www.visitsantarosa.com or www.sonomacountyrestaurantweek.org. Just 55 miles north of San Francisco, Santa Rosa, California has an abundance of recreational activities, epicurean delights and scenic vistas for visitors to enjoy. Situated in the heart of Northern California�s world-famous Wine Country and just 30 minutes from the stunning coast, it is Sonoma County�s largest city, with a small-town feel. Home to superb wineries and craft breweries, some of the country�s best bicycling routes, and the Charles M. Schulz Museum � along with many other attractions � this warm and friendly city is a blend of art and culture, food, wine and recreation. �Visit Santa Rosa� is the tourism brand administered by the Santa Rosa Convention & Visitors Bureau, a division of the Santa Rosa Chamber of Commerce. The bureau provides assistance to visitors and groups seeking information about lodging, dining and entertainment opportunities in Santa Rosa. It also operates an Official State of California Welcome Center and helps to bring major events to Santa Rosa, such as the Amgen Tour of California. For more information, call (800) 404-7673 or (707) 577-8674 or see www.VisitSantaRosa.com.